Quiet waters around Trevi Fountain? 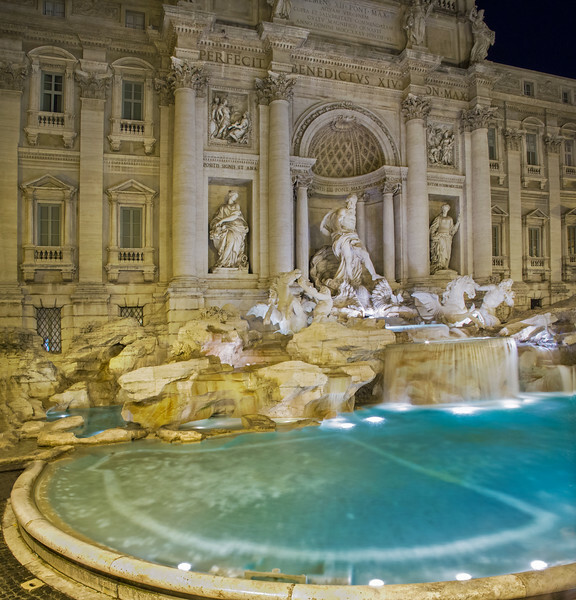 In the evenings, Trevi Fountain is a popular hot spot. Large crowds gather just to hang out and watch. Traditional legend has it that if you toss a coin over your shoulder, you can make a wish to return to Rome.